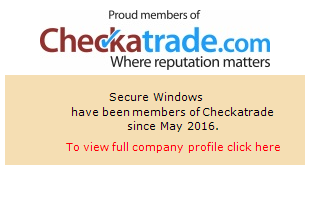 Secure Windows have over 30 years experience in the industry based in Peacehaven, East Sussex and have a team of dedicated staff who are here to assist you throughout your new home improvement purchase. All customers of Secure windows can expect a pressure free, no obligation quotation, 10 years insurance backed guarantee and full after sales and back-up service for that continued peace of mind. All of our double and triple glazing windows and doors are manufactured to British Standard BS7412 and are available to Secure By Design specification if required. Additionally, all our installations comply with local authority building controls. We supply and fit to both domestic and commercial properties in Surrey, Sussex and Kent. We don’t just service customers, we listen to our customers and this is at the heart of our company. Enviable reputation in local community. Provide personal attention and great care in your home. We do not employ high-pressure sales people or sales managers, which allows us to keep our prices low, saving you money. With our prices fully inclusive of VAT, survey, fitting costs, old product removal and making good, Secure Windows’ products are a sound investment for your property. We are members of FENSA, the industry standard for replacement windows and doors, Buy With Confidence and Checkatrade. We are also members of Home Improvement Protection (HIP), a leading provider of Insurance Backed Guarantees for the home improvements industry. This ensures fair customer treatment is at the core of everything we do.